At Steffes, we engineer and manufacture all of our Secondary Containment Systems to meet regulatory requirements and help ensure containment of liquids. We use 10 or 12 gauge galvanized steel and apply a durable powder coat finish for protection against extreme weather conditions. 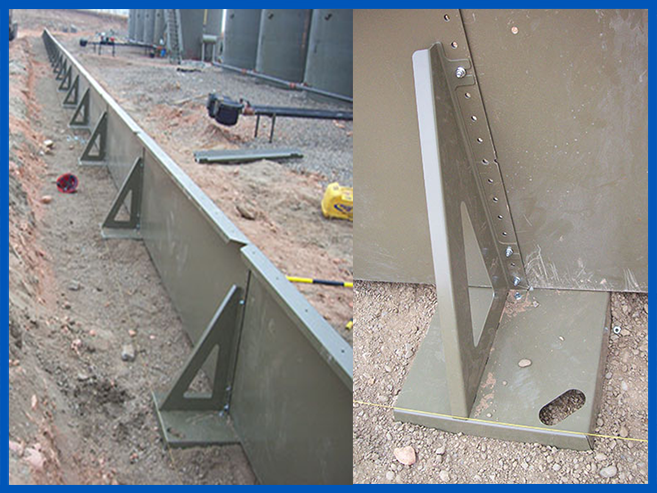 We manufacture Steffes Secondary Containment Systems for easy installation. The secure, bolt-together panels allow flexibility for many configurations and reduce installation time. With containment heights of 25, 33 and 35 inches, we can help you choose a containment system that’s right for your operation. The post system is held in place with steel posts that are bolted to the panels. This allows for the system to be fixed in the ground for stability and durability. Steffes offers walkovers with this system to provide a safe way to go over the containment wall. The post-less system is held in place with steel brackets on the surface. This allows for fast and efficient installation while maintaining quality and dependable performance. Steffes offers walkovers with this system to provide a safe way to go over the containment wall.